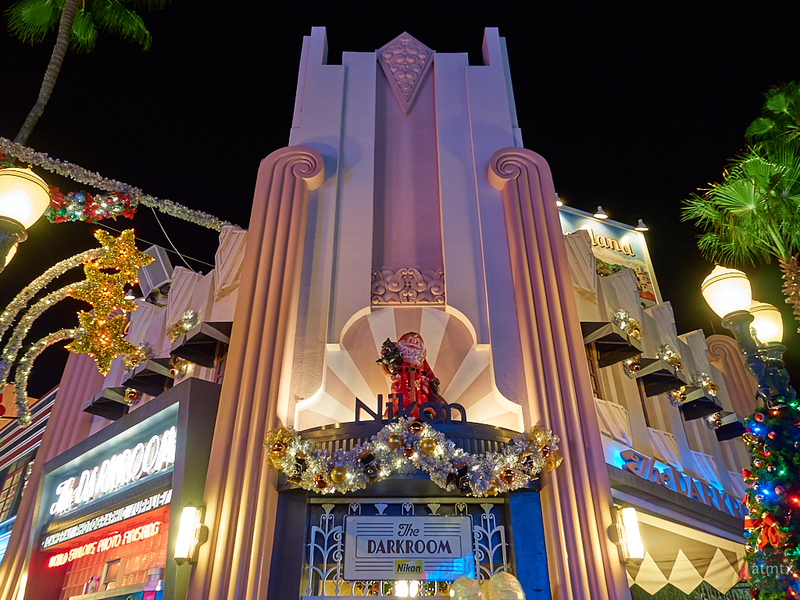 Here’s another photograph from Disney’s Hollywood Studios, zoomed into the glorious art deco details. Notice the two Nikon signs? I did. I also noticed that all the Disney PhotoPass photographers sported Nikon DSLRs. It seems like there was a joint promotion between Disney and Nikon. A quick internet check confirmed my suspicion. Back in 2013, Disney and Nikon announced a multi-year strategic alliance. Nikon even setup a nicely done “Unforgettable Memories” site that highlights key locations and techniques to make great photos as the Disney parks. The Nikon images are wonderful, of course. Priceless photos of close family moments and exotic locales with festive fireworks. The reality is quite different, however. Not because of any lack of camera technology, even if a Nikon is not used, nor because of a lack of photographic skills. Rather, the crush of people — the other park go-ers — who get in the way of that perfect shot. And no doubt, my family and I have also detracted from other people’s ideal image, too. No, it’s not the camera or skills that get in the way. It’s the crowds. That was probably the most disappointing part of the trip. I did get good images of the parks, by carefully framing around the people. It’s just that I didn’t get one truly great shot of the entire family with a memorable backdrop. That required too much waiting by impatient kids who barely wanted to be photographed.